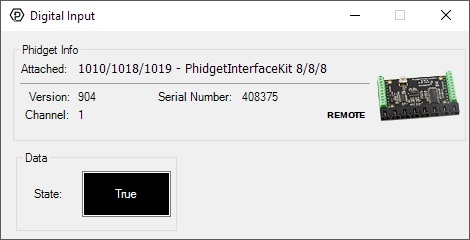 Replaced by the 1018_2B - PhidgetInterfaceKit 8/8/8. It is the exact same device, but it comes pre-assembled in a plastic shell enclosure and you can now choose which cables you want to have included. 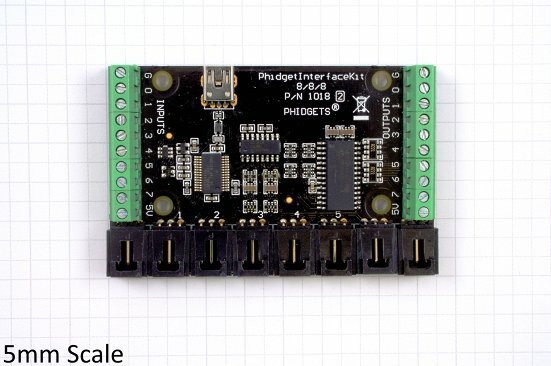 November 2010 2 903 USB Product Name descriptor changed from "Phidget" to "PhidgetInterfaceKit"
Connect any sensors to the voltage inputs on the 1018. 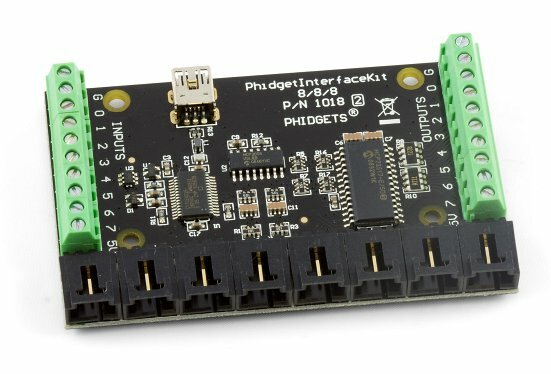 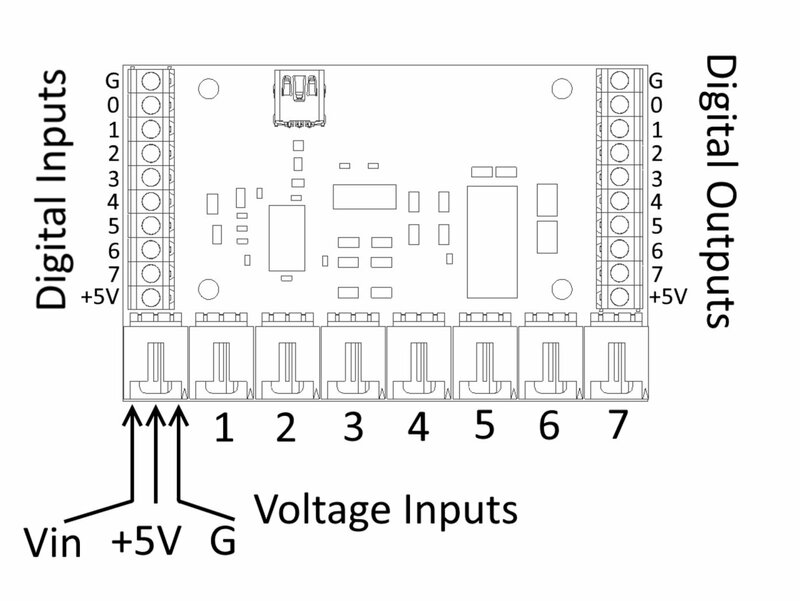 Connect the 1018 InterfaceKit to the computer using a USB cable. 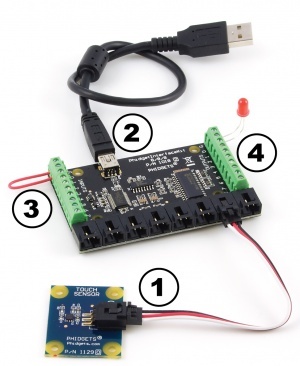 Now that you have everything together, let's start using the 1018! 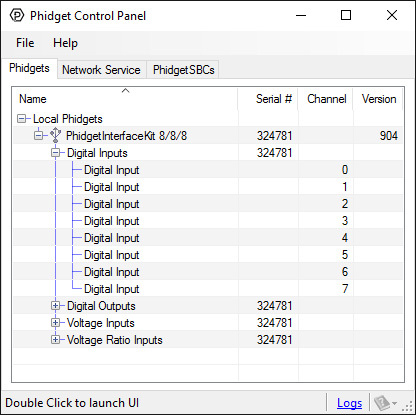 In order to demonstrate the functionality of the 1018, the Phidget Control Panel running on a Windows machine will be used. 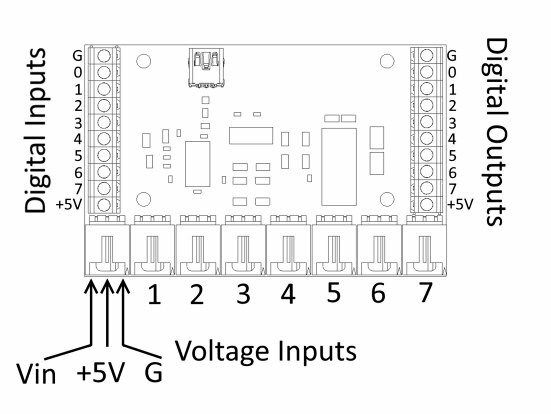 Linux users can follow the getting started with Linux guide and continue reading here for more information about the 1018. If you want to know more about the input/output capabilities of the 1018 InterfaceKit, check the Digital Input Primer, InterfaceKit Digital Outputs page, and the Analog Input Primer. 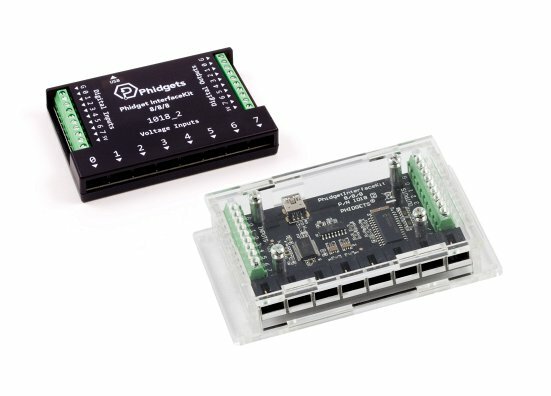 Each analog sensor will come with its own Phidget cable, but if you need extras we have a full list down below. You can solder multiple cables together in order to make even longer Phidget cables, but you should be aware of the effects of having long wires in your system.